APTRON- the most reliable Python training institutes in Noida offers job oriented training to the aspirants making them proficient in the Python programming skills. 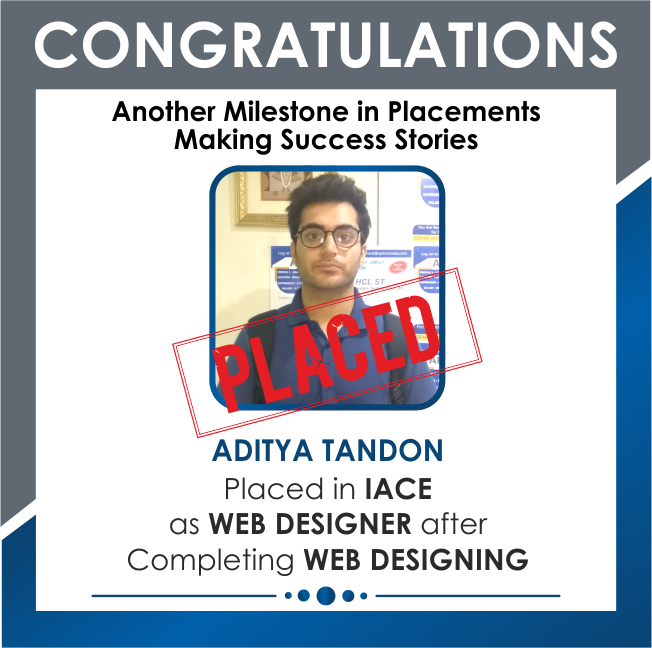 The institute is recognized for providing the best Python course in Noida with 100% placement assistance. APTRON’s python course content is based upon the industry recommendations and is regularly updated to keep pace with the ongoing technological advancements. It is one of the best python training institutes in Noida that offers basic as well s advanced level of Python training courses. APTRON’s python trainers are the industry experts with 8+ years of experience in managing the real-time python based projects. Widely used for a general programming, Python is a high level programming language that easily and effectively integrates with your systems. It runs on almost every operating system such as: Windows, Mac OS and Linux/Unix etc. Python has also been ported to .NET and Java virtual machines. Since, Python is an open source programming language, it can be easily used for the commercial purposes. Python Programmers can program a specific function in even lesser lines using Python as compared to the other programming languages. Additionally Python increases the readability of the code and helps in easy and compact programming of both large as well as small-scale programs. Python actively supports different programming patterns such as functional, procedural, object oriented and imperative styles. It comprises of an automatic memory management as well as dynamic system. The huge and comprehensive library of Python allows the programmers to develop any kind of program easily. It has a wide usage as a scripting language and is equally used in the non-scripting programs as well. Starting salary of a Python developer is around 70k and plus. It is in fact a top growing skill in the past 3 months. Thus, learn Python from a highly reputed institute where instructors have hands experience on it. Instructors at APTRON PVT LTD pay more stress on the individual needs of a student. APTRON Noida is one of the best Python training institute in Noida with 100% placement support. 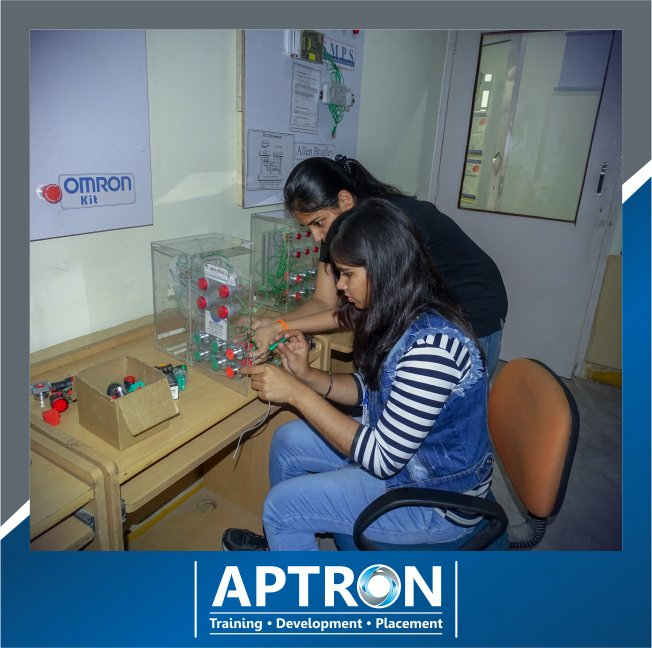 APTRON has well defined course modules and training sessions for students. 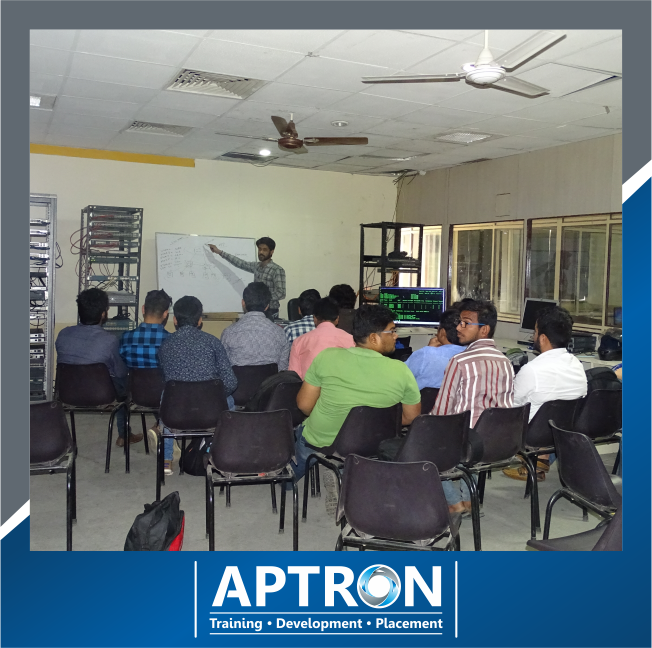 At APTRON Python training is conducted during day time classes, weekend classes, evening batch classes and fast track training classes. Python is the leading programming language that offers best career options for the tech individuals. The career opportunities in Python have been showing a continuous growth across the globe. Generally recognized as a high-level programming language, Python promotes brevity and faster code readability, which allows the programmer to make better designs with fewer code lines. 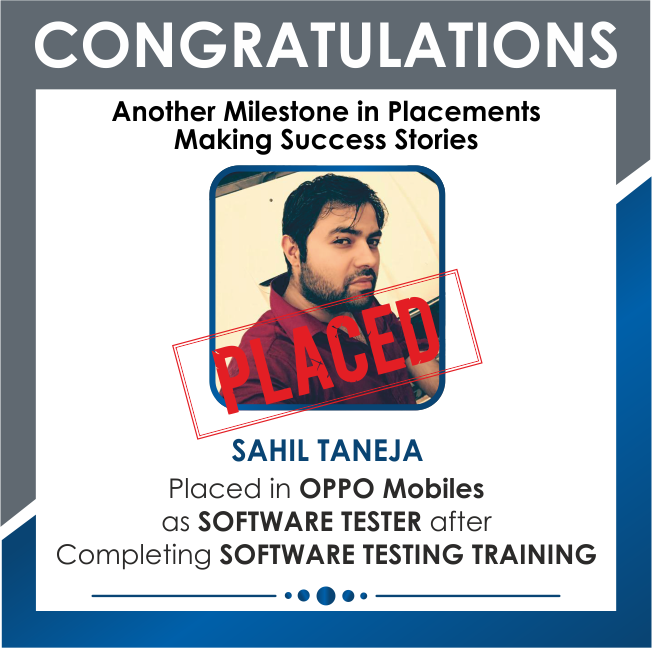 Companies both in India as well as abroad are continuously hunting for the trained, qualified and skilled individuals to deal with the changing technology requirements of the customers. Knowledge of more and more programming language along with Python is always an added advantage, as it gives an individual competitive edge. These are just few examples; there are many more opportunities that a python professional comes across when he/she has possess additional knowledge of other programming languages, development tools and applications. One can opt for Python training in Noida at APTRON, as it is the highly reputed Python training institute in Noida that gives Python training followed by practical work on real-time Python based projects under the mentorship of industry experts as the educators. APTRON offers complete Python training in Noida from basic to the advanced level. Python training in noida is designed according to current IT market. Offer the best Python training and placement in noida with well defined training modules and course sessions. Facilitate regular, weekend and customized Python training in noida..
Mentors of Python training in noida helps in major project training, minor project training, live project preparation, interview preparation and job placement support. Hostel facilities available at Rs.4,500/- per month for Python training in noida. APTRON offers comprehensive Python training course in Noida thus offering the learners a chance to work on live Python projects and acquire professional skills. These professional skills acquired by the individuals makes them ready for the job, and hence the employers in top MNCs easily recruit them. In addition to the Python training in Noida APTRON provides 100% placement support to all the aspirants. 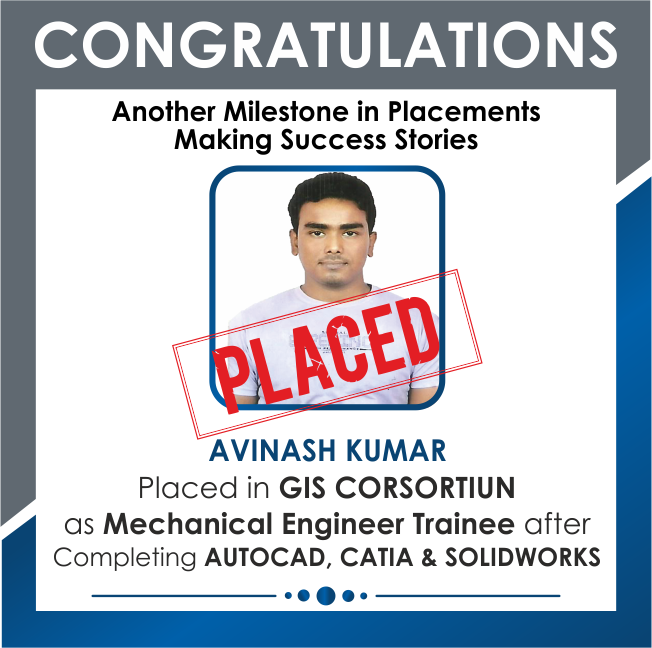 The institute is incorporated with a dedicated placement cell that responsibly takes care of the placement related activities such as: planning, scheduling and conducting of the recruitment drives with several technology oriented companies. 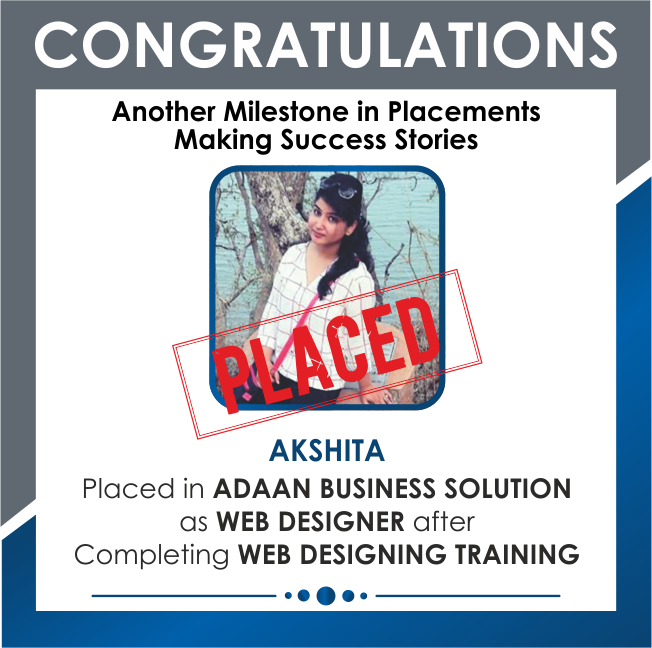 The placement division also establishes communication between the placed students and the companies they are recruited in. This way APTRON-the best Python training institute in Noida makes sure that every learner gets the opportunity to shape up their career. The institute also ensures that mandatory placement training is given to all the students making them proficient in the communication skills, aptitude skills and more. This further assists them at the time of recruitment in facing the challenges during interview. All this simultaneously proves that APTRON provides the best Python Training in Noida. APTRON being well organized Python training institute in Noida takes care of all the requirements during the training process. Once the students enroll themselves for Python course in Noida at APTRON, the institute takes care that the students have the access to all the learning requirements. To make the learning more effective the institute gives a well-structured and organized study material for Python course in Noida. This study material further works as a reference material to the trainees for a better understanding of the subject. APTRON is one of the trusted Python training institutes in Noida that is foremost in delivering performance as well as the facilities. The institute features high-tech labs, advanced infrastructure and the best of facilities. All these simultaneously aim to offer the best Python training in Noida. What do the aspirants learn in Python Training? 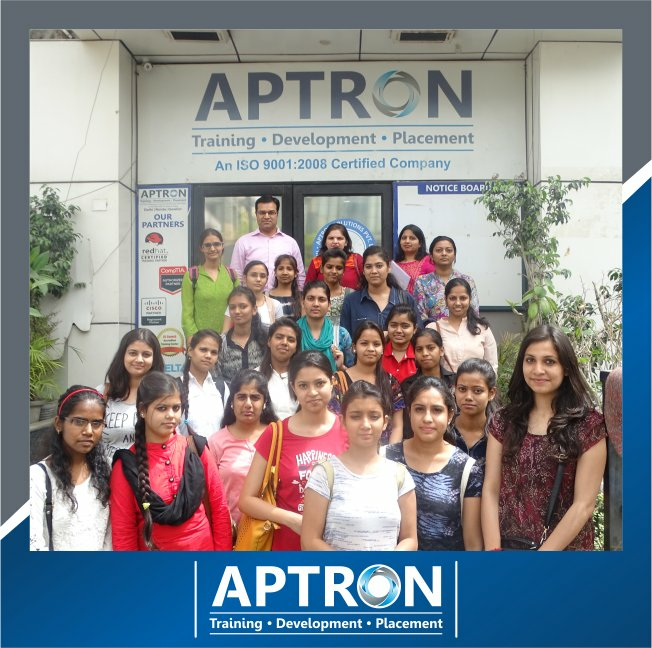 At APTRON- the leading Python Training Center in Noida, the students are introduced to the following topics in Python course: Introduction to Python, Python Basics, Variables and Data types, decision making & loops, functions, Modules & Packages, Exception handling, files and directories, classes objects, regular expressions and socket programming. 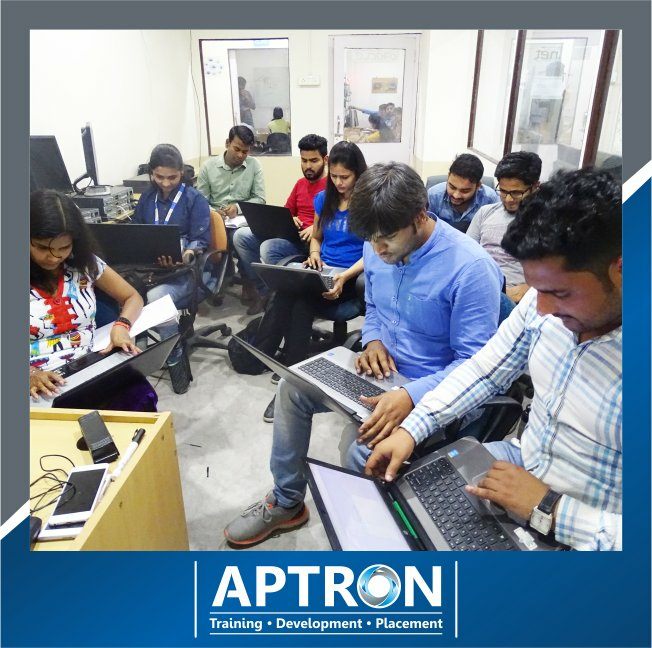 At APTRON the classes for Python training in Noida is held in the weekdays on regular basis and during the weekends for those who cannot take it in the weekdays. Additionally APTRON also gives fast-track Python training in Noida for those running out of time or the quick learners. APTRON’s Python Course in Noida has an affordable fee structure. Q.What is Python course duration and fees? The course duration for PHP training in Noida at APTRON is approximately 2 months if you opt for the regular batch held in the weekdays whereas the classes are also conducted at the weekends that may take about 8 weekends. Thus it ompletely depends on your grasping ability and the kind of batch you choose. The institute also offers fast-track Python training programs that aims at completing the course within few days. APTRON gives 100% placement assistance to the students and offers training at a reasonable Python course fees. Q.Is Python difficult to learn? No, Python is not at all difficult to learn. All an individual needs to have is the spirit of learning and obviously choosing the best Python training institute is of greater significance. APTRON is the best and most reliable option for Python course in Noida. Q.What is Python course all about? The Python course in Noida at APTRON enables an individual to develop himself or herself into a professional python programmer. Any individual who aspires to become a python programmer can go for the basic to advanced level of Python training in Noida at APTRON. This further helps an individual to gain expertise in the game development and web development. The learners are exposed to practical learning experience by performing hands on exercises on live python based projects. Q.Is the Python certification provided here recognized by the industry? APTRON is the certified Python training institute and thus the Python certification course provided by the institute is widely acceptable and acknowledged by the industries. Q.Does Python Learning have any pre-requisite? Learning Python does not require any prior programming experience or knowledge. It is the simplest programming language to begin with hence anyone who wishes to learn can take python training in Noida from APTRON. Q.Is Python Training good for the beginners? Due to the wide usage of Python programming language the profession also are in high demand worldwide. 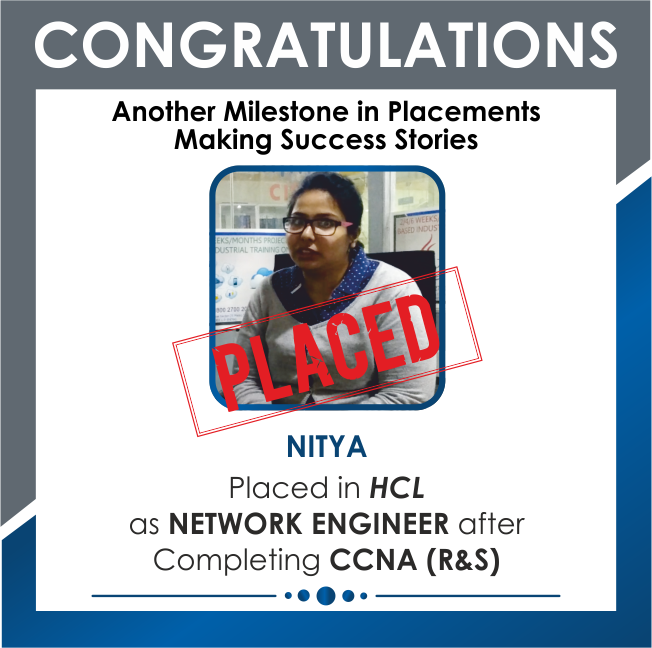 Thus it gives a promising career to all the aspiring students in the near future. Python is extremely easy to learn and is the simplest programming language to start with. Q.How much time will it take to learn Python? In general learning Python takes approximately 2 months. However it completely relies upon your learning ability. The institute offers Python training classes on regular basis, weekend classes and fast-track python training classes. It was a great experience to learn Python from this institute. The course is beneficial for both the starters as well as those with intermediate level knowledge. The trainer has a firm grip over the concepts and substantial knowledge about the language. The training method used by the teacher is quite simple and easy to understand. The best thing is the course material provided that already has the lecture notes in it. The course starts right from the basic concepts to the highly advanced level. The institute sets up the best example of how training should be. Everything be it lectures, management, working, practical etc. are perfectly organized. Every concept is explained well via making the students work with live projects. Once, you enroll for the course, the institute actively looks after your needs. Overall the course is good and perfect for the beginners. I would recommend this institute to everyone who wants to learn programming language. Perhaps APTRON is the best place for Python training. I am thankful to APTRON, and I believe that it is one of the best educational institutions. I have undergone my Python training from here and I am doing great from the things learned from here after I received my certification for Python training. I am a working professional now and come across opportunities in many other companies. There is no institute like this that takes complete responsibility of the student’s learning. The training offered is completely practical based and the students are made to learn by giving them chance to work with the live projects. The Python Trainer here is knowledgeable and highly experienced. He simplifies the topics by showing examples, thus making it easier to understand. The trainer clears all our doubt by answering the queries. The periodic test conducted ensures a better learning. Thus the institute is best in terms of delivering performance as well as the skilled professionals. I love the place and I am extremely satisfied by the teaching given here. Recommended for sure! I had a keen interest in learning Python and meanwhile I came to know about APTRON from one of my friend. I enrolled myself for Python training course, as the fess here is affordable. Now I feel that it was the best decision I had ever made. I must and I proudly say that I had a wonderful learning experience. 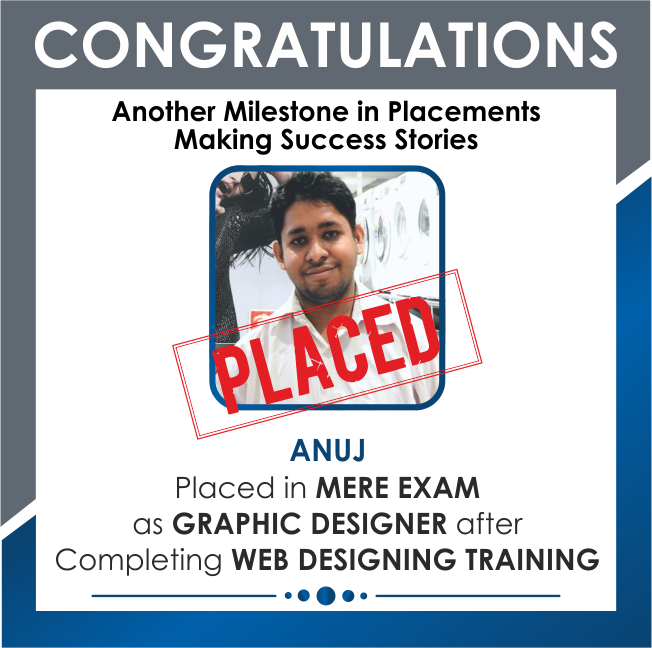 Everything was the way I aspired for the teaching pattern, the facilities, the trainer etc. I just loved the place. The trainer and the other staffs are all humble. The Python trainer is an industry expert with substantial knowledge of the subject and answers all the queries of the students along with sharing the experiences. 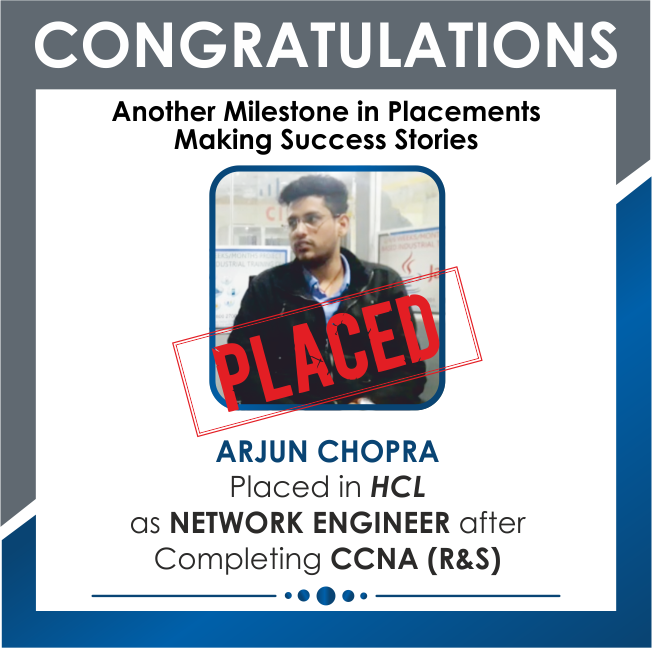 I am now working in an MNC and I must say that the training from APTRON has a role in that. 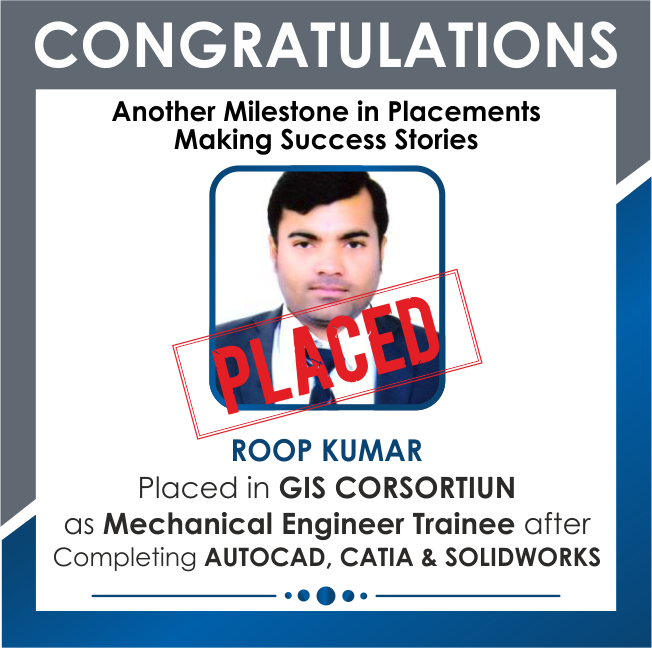 I would like to express my heartiest gratitude to APTRON for assisting me in shaping my career goals. The overall team here is perfect and extremely supportive. While I joined APTRON for Python training I was just a beginner with no knowledge of programming at all and now I excel in the same. All credit of course goes to my trainer and no less to APTRON- the best training institute. Python does not have a lot of complex coding and is thus easy for the beginners too. Moreover the trainer here makes it far more interesting. 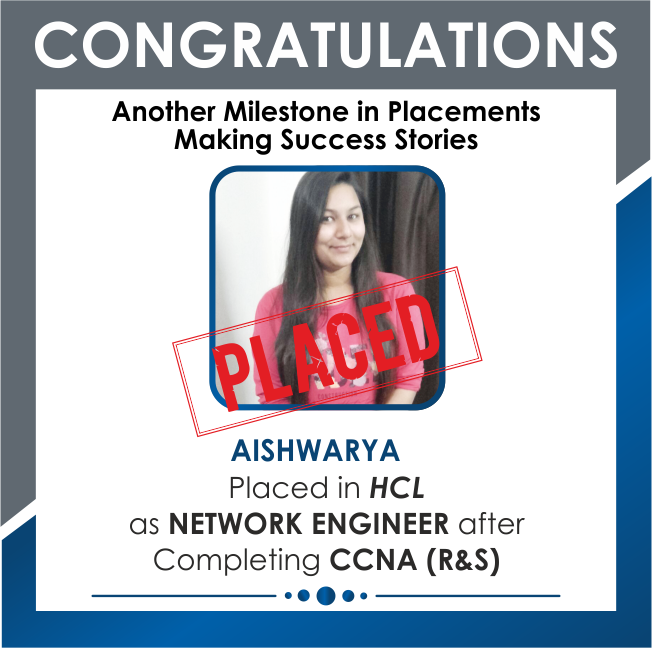 The best thing about the place is that it offers placement assistance to all the students. 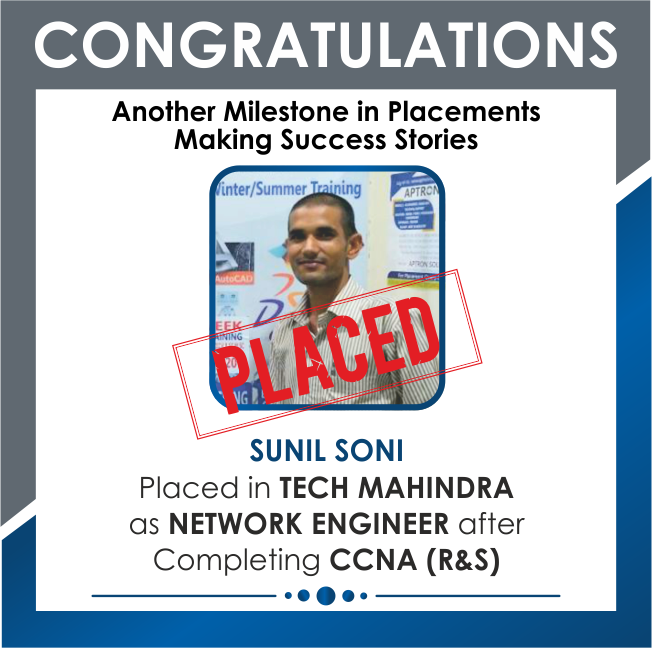 After the completion of my training I got placed in an MNC right from here. APTRON has not only offered me the best Python training but also has given a flight to my career. 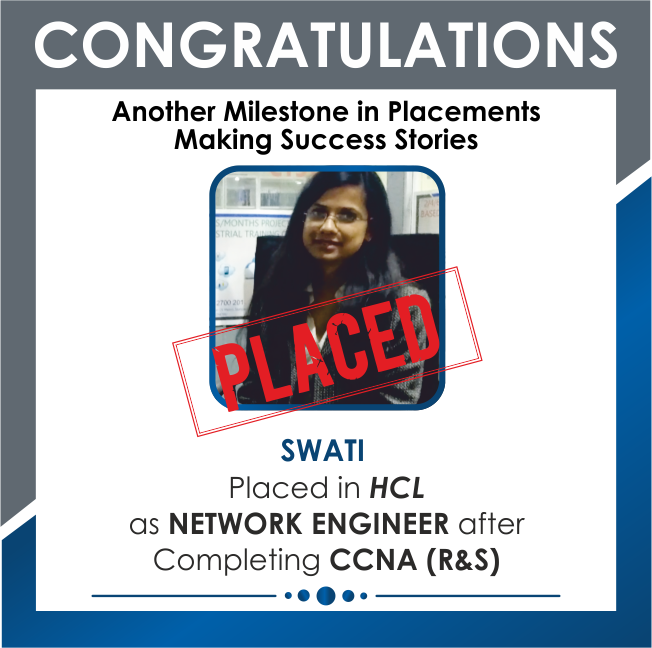 The training here is to the point and also they provide placement training i.e. personality development classes and communication training. The institute focuses on the overall development of the aspirants. Python training from APTRON was the best experience to me. I f you are planning for a bright career ahead in programming I would suggest you to go with APTRON. It is simply amazing! . I had a nice experience! During my training period I observed that the course content was well organized that constituted of compilation from beginner to advanced level. The training proceeds step by step with a perfect balance between the theoretical and practical sessions. We were exposed to practical learning via working on real time projects. I gained a better understanding of the concepts as the instructor’s accent was quiet easy to understand. The sessions are interactive and thus provide better learning opportunities with nothing left unlearned. 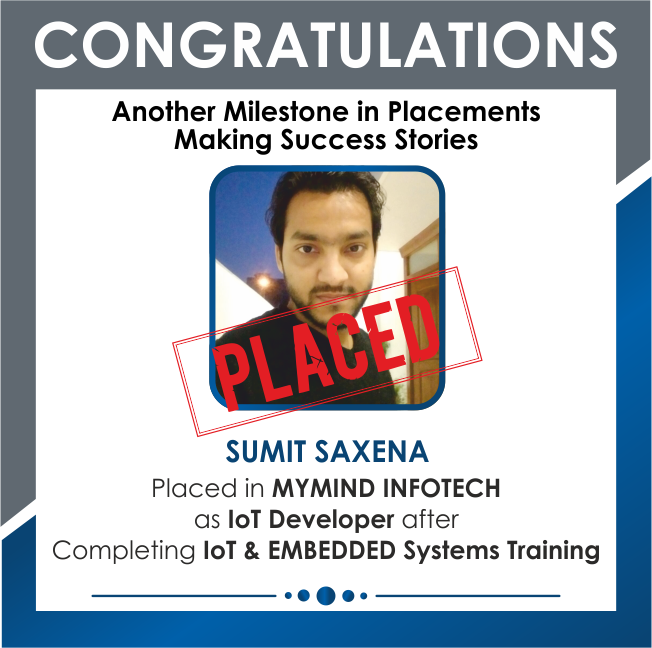 The advanced level of training with live projects encouraged us to expand our thinking capacity and this landed me to a reputed job in an MNC. I am extremely satisfied with the Python training given by APTRON especially the trainer because this is what a teacher should be like i.e. humble and ready to help. To get the best out of Python training definitely go with APTRON- it is actually the best! Highly recommended. Today I am a successful and certified Python developer in one of the most reputed MNCs and of-course APTRON owns the credit of my success. 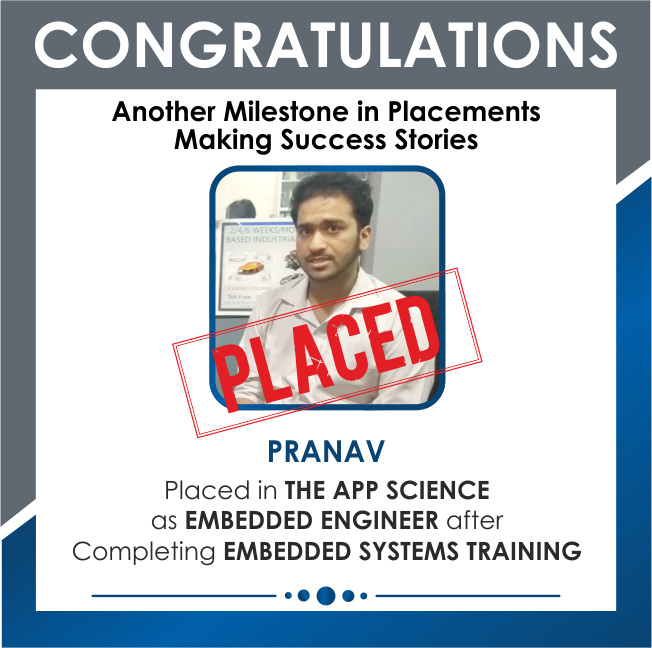 APTRON’s Python training and the placement I got from here has given a platform to my career and shaped it the best. I am a proud learner of this institute and undoubtedly this place is the best in terms of providing training. Highly job oriented training that develops the learners into professionals. 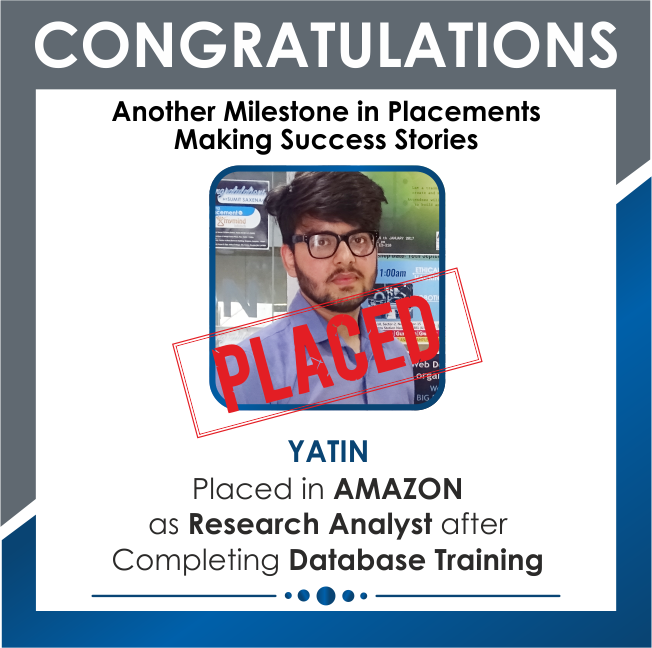 I cannot thank enough to the institute and the trainers for giving me the required support right from the day I started my classes up to its completion and even today. The trainers give a clear explanation of the subject and the associated topics with examples via demonstration on live projects. 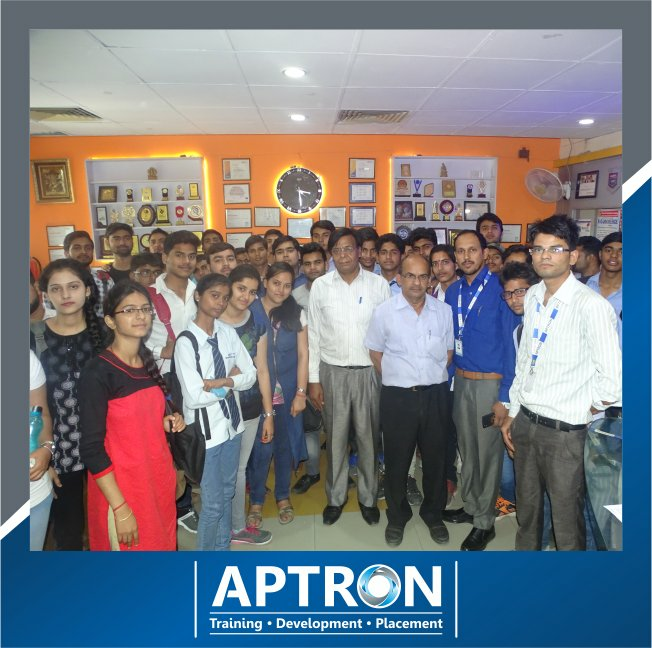 As far as my experience with APTRON is concerned, it was fantabulous with extremely supportive staffs and highly inspirational lectures. And I would strongly recommend the institute for it is the true friend to all the aspiring individuals. Don’t think just enroll yourself for the Python training here and you will surely get the best out of it. I enrolled myself for the Python course at APTRON and I am extremely delighted to say that it was simply great and highly valuable! All I did was I came out of my comfort zone and took the classes regularly. At first I expected that like all other institutes they will also be providing a lot of theory but when I started here it was different i.e. they provide a perfect balance of theory and practical as per the needs. There was a lot of practice/lab session after every topic that allowed us to get a thorough understanding of the subject. The trainer was very helpful and had good knowledge of the subject. The best thing I liked is the flexibility in timing for I was a college student and did not get time in the weekdays but they provide weekend batches too and I took the Python classes at the weekends. The trainer covered the topics step by step and gradually moved on to other showing no hurry. 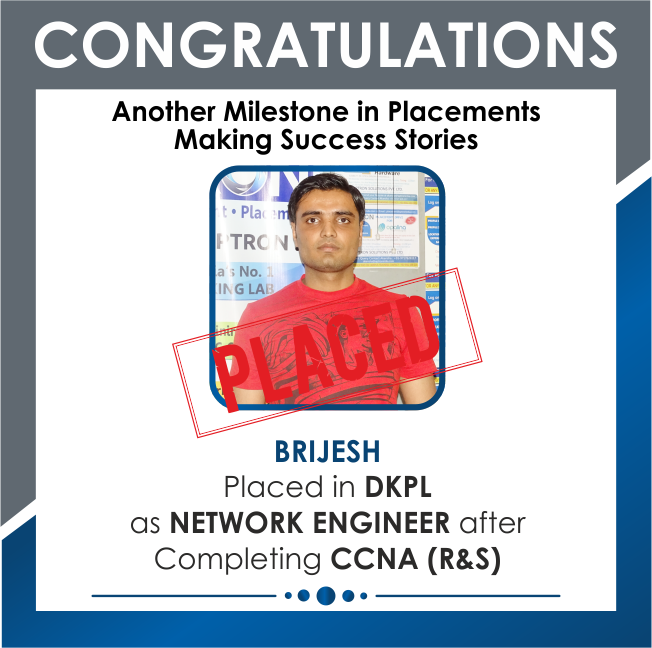 After the completion of Python training here I was all set to manage and work with full confidence up to industry expectations and this got me placed in an MNC as per my desires. As a Python learner from APTRON, I had an awesome experience with APTRON. I gained in-depth understanding of every topic for it was taught very efficiently by illustration of the practical examples. Had it been possible I would love to give it more than 5 stars. I am also planning to take another course from here soon. The entire training duration has been highly productive i.e. I have learnt and experienced a lot. The classes were very interactive and the instructor was excellent who made it easier to grasp. Initially I had no insights of Python programming language but with the trainers made it all go well and now I have a concept based knowledge as well as vision to explore more and more. 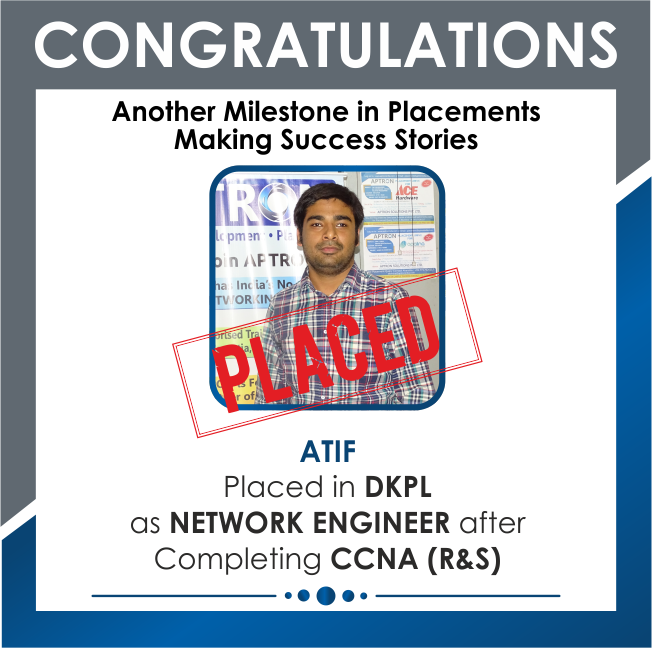 APTRON’s training methodology has changed my vision and has made me capable of achieving the career goals in life. I am really very thankful to the institute for assisting me in my career perspectives. The course material provided here is excellent and is helpful even in the long run. Thank You team APTRON! Strongly recommended for the focused learners. I was introduced to APTRON by one of my colleagues as I recently moved into a new role that states the requisite to learn Python. Instead of searching for any other institute, I trusted my friend and enrolled myself with APTRON. And after I started with it, I observed that APTRON’s Python course was not only about merely learning Python but also about its usage in the most trending Data Analytics. The Python course here helped me to get exposed to the applications of Python as well. The trainer here is an industry professional and so provides several practical examples. Due to some complications I could not attend some of my classes but the trainer supported me to recover those in extra time. Doubts were readily assisted and cleared. Overall it has been amazing and I strongly recommend APTRON for Python training. This Himanshu from Noida, I personally feel that APTRON training center in Noida offers quality Python Training to get me right job soon. This Kapil Raghav from Noida. I finished Python Training Course from APTRON Noida Center. Institute is very good, Faculties are very helpful & teaching standard is so good. This Vivek Arora from Noida, This is the best Python Training Institute for professionals to learn latest technologies. Trainer knowledge is really helped us to understand about technologies. This Shivpratap from Noida, APTRON training in Noida has helped to improved my Python skills, after completion of Python Training Course from APTRON in Noida, I feel more confident.